Photinia is a genus of around 50 mostly evergreen species, some of which are excellent for hedging purposes. The photinia x fraseri ‘Red Robin’, more commonly known as simply photinia ‘Red Robin’ or Christmas berry, is the most widely planted cultivar by far. This evergreen shrub is mainly valued for its fabulous foliage. Or maybe “evergreen” is not the correct term, as its brilliant new foliage, which lasts throughout the entire year and makes the Red Robin an exceptionally attractive plant, is red in colour. The older, more mature leaves are glossy dark green and equally handsome. This contrast between old and new growth creates a display of colours that is not very common among evergreen hedging plants. 'Red Robin' produces clusters of tiny white flowers in the summer that may be followed by red fruits. Photinia hedges can have an informal appearance, which is typically more natural, open, flowering and more attractive, but they can also make a tidy, dense, compact formal hedge with little to no flowering – this will depend on how you trim your hedge. 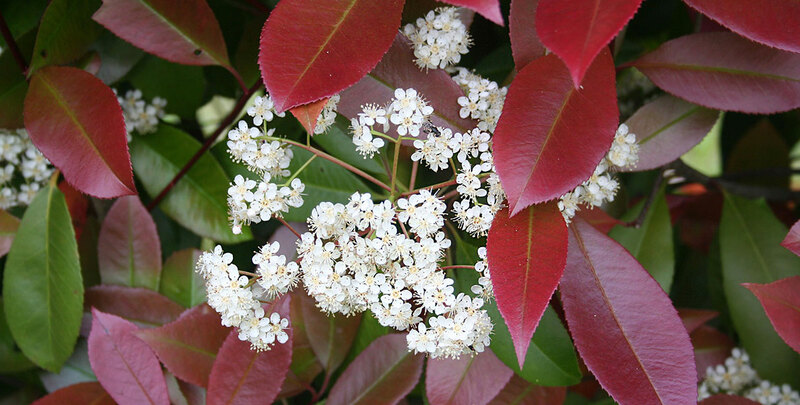 And though photinia can be kept fairly tidy with regular pruning and trimming, it will always be slightly informal due to its open, non-compact structure. It can also be grown as an informal hedge entirely, though trimming it annually will encourage new growth. This is very rewarding, as the young leaves are a spectacular display during springtime. It is not ideal as a windbreak or a security hedge, but the ornamental value of a photinia hedge is undeniable. We were certainly not the first to be impressed by the glossy leaves of the photinia, as even its botanical name refers to this. This name has been derived from the Greek word “photeinos”, which literally translates to “shiny”. 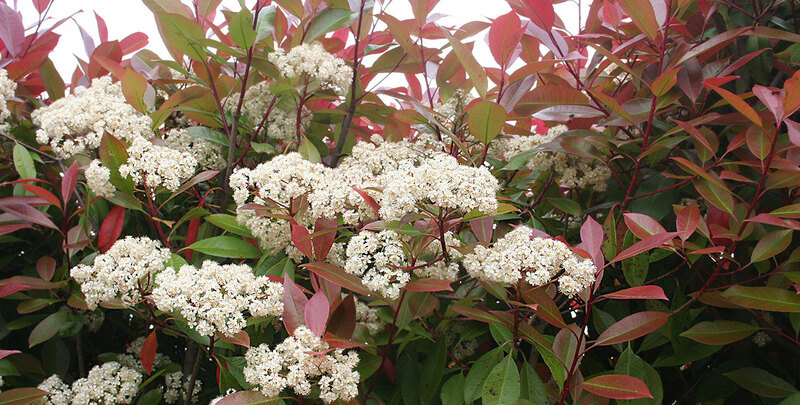 Photinia species are native to the mountain regions of East Asia. In China, 48 different species can be found, 34 of which cannot be found anywhere else. Photinia species are even found growing high in the Himalayas, so you can be sure that your photinia hedge will be able to handle exposure to full sunlight or cold temperatures. It will certainly feel at home in our climate and therefore, we understand why many people choose to decorate their gardens with this elegant hedging plant.The botanical name of the Red Robin cultivar refers to the nursery Fraser in the American state of Alabama, where this hybrid between the photinia glabra, also known as the Japanese photinia, and the photinia serratifolia or Taiwanese photinia was established in 1943. This hybrid was actually discovered by sheer coincidence, simply because they were grown at the same nursery. 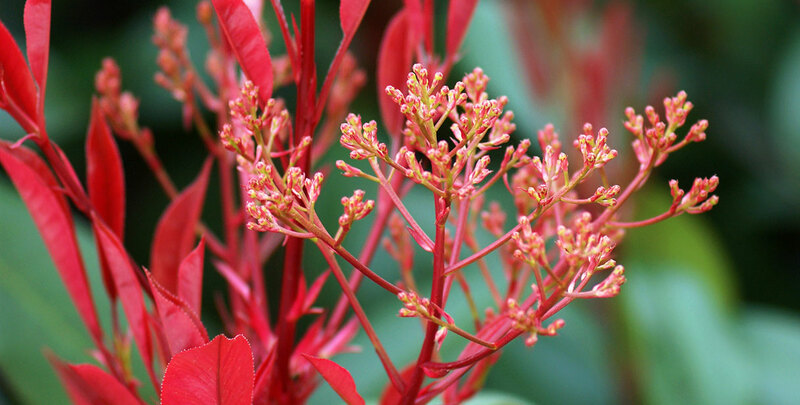 After this discovery, growers and garden enthusiasts worldwide went looking for a way to create the perfect photinia. The photinia ‘Red Robin’ as described on our website was eventually cultivated in New Zealand. Therefore, it is not an exaggeration to state that the photinia ‘Red Robin’ is a genuine globetrotter. Maybe that is why it will thrive in such different climates. For the best results, Christmas berry hedges should be planted in the full sun or semi-shade. It will do well in most well-drained soils fertilised with compost – even clay. We do advise you to be careful with exposed sites, as photinia species generally do not cope well with exposure to wind. Despite being an evergreen, a photinia hedge is prone to frost damage. 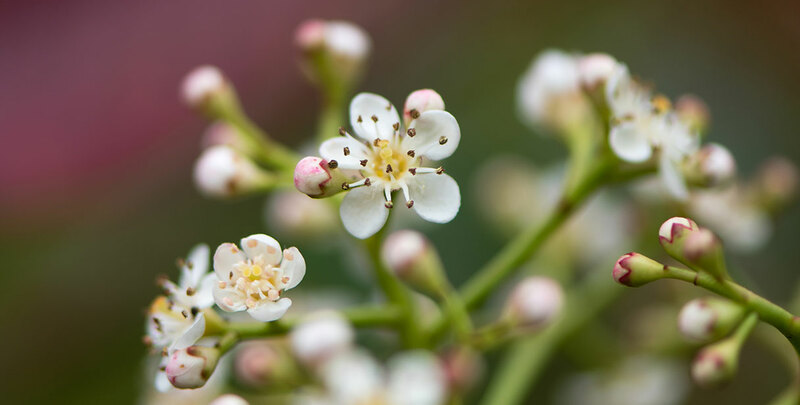 This may be surprising, given the fact that it also grows in the Himalayas, but we certainly recommend protecting your hedge against particularly harsh winters. Newly planted photinias should be watered regularly and may require some extra fertiliser. Established photinia hedges, however, will do well without watering or compost, though it does not hurt to keep an eye on them. With an annual growth rate of 30 centimetres, the photinia ‘Red Robin’ is neither an exceptionally quick nor slow grower. Photinia hedges will sometimes (partially) shed their leaves. In order to ensure new foliage, the plants should be pruned back until you reach the leafless wood. This may seem drastic, but it does not affect the health of the plant. In fact, if you do so, your photinia hedge will reward you with beautiful new growth. This kind of pruning can be done in May. Trimming your photinia hedge is best done with secateurs. The photinia ‘Red Robin’ can reach an ultimate height of about 2.50 to 4 metres, though it may take up to two decades before it reaches this height. If you are looking for a hedge that will hold on to its leaves throughout the year, but most evergreens are too monotonous for your taste, a photinia ‘Red Robin’ may just be the perfect hedging plant for you. Its red new foliage and its green older leaves will always be glossy and the contrast between these two colours will ensure that your garden looks lively even during the winter months. We would still like to point out that despite being evergreens, photinia hedges are not entirely frost-hardy, so if your garden is located in an area where winters are relatively fierce, it is essential that you protect your hedge against these conditions. It is hard to imagine that this beautiful hedging plant wasn’t even around a hundred years ago. These days, it decorates many gardens all over the world. Many hedging plants add a little colour to your garden with their blossoms. The photinia ‘Red Robin’ is a unique hedging plant however, as its foliage is the aspect that will make your garden look lively. We can certainly conclude that the spontaneous hybrid originating from the Fraser nursery was a very lucky accident.